CommInsure Poor Practices – The Tip of the Iceberg? On 7 March 2016 the ABC Four Corners program aired a telecast of an investigation into practices at CommInsure, the life insurance arm of the Commonwealth Bank. The investigation has revealed very serious and concerning practices at CommInsure including the use of outdated medical definitions, pressure being applied to internally employed doctors to either delete or change their opinions, delay and the use of technicalities to avoid paying legitimate claims. CommInsure is one of a small handful of life insurers practicing in Australia. Life insurance includes cover for death, total and permanent disablement, and temporary disablement, both through superannuation and outside of superannuation. All working Australians have a superannuation account and through group arrangements with the trustee of their superfund, they will have some form of life insurance coverage. CommInsure is a big player in the group life market, but not the only group life insurer. 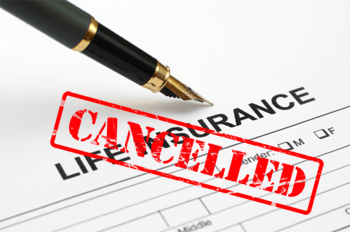 Delay and avoidance tactics are rite in the life insurance industry in Australia. It is likely that the practices at CommInsure are not isolated to that particular insurance division. Whilst one would hope that the fraudulent doctoring and manipulation of internal medical opinion is isolated to CommInsure, the practice of having employed doctors on staff providing opinions to claims managers is common throughout the life insurance industry. Quite often life insurers will prefer the opinion of their employed doctors over that of treating doctors or specialists. This raises an inherent conflict of interest between the interest of the insurer in delaying or denying a claim and the interests of an injured or ill person in receiving their benefits. The fundamental flaw in the life insurance industry is the attitude of insurers which makes the process unnecessarily adversarial. The unique nature of group life insurance through superannuation means that there are high standards imposed on life insurers to investigate and assist a claimant through their claim. Obligations of utmost good faith apply to group life insurance policies. This means that the insurer must not prefer its own interests over those of the claimant, and must act fairly and reasonably in assessing the claim. For example, where there are inconsistencies in medical evidence or some further medical evidence is required then it is incumbent upon the life insurer to investigate that and if possible resolve any inconsistencies. If the life insurer has doubts about the evidence put forward by a claimant then it must bring that to the claimant’s attention, provide copies of any documents it proposes to rely upon and allow the claimant a opportunity to respond to those allegations. Working Australians are grossly underinsured when it comes to life insurance in Australia and group life insurance plays a very important role in providing for injured and ill Australians when they can no longer work. The government has referred the practices of CommInsure to ASIC for an inquiry. The Senate has also expanded a current inquiry to include practices in the life insurance industry as a whole. It is likely that these inquiries will find the practices at CommInsure are not isolated. Claimants who feel their claim has been rejected unfairly or the insurer has not acted with the utmost good faith, should seek advice in relation to their claim as they will have rights to dispute the rejection. Australia needs a robust group life insurance industry and one which responds to legitimate claims promptly, fairly, and taking into account the interests of the person claiming above all else. There is no place for the behaviour uncovered in CommInsure. If they are widespread in the industry they need to be stamped out.